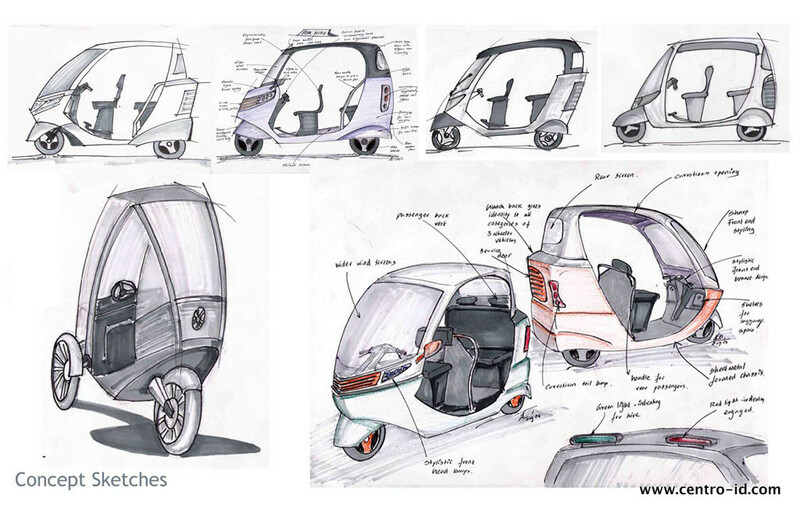 In design evolution in India the imagery of automotive segments – Bikes have changed from classic enfolds to pulsars, Cars changed from Ambassadors to City’s, Trucks changed – but the imagery of the AUTO alone remains the same. 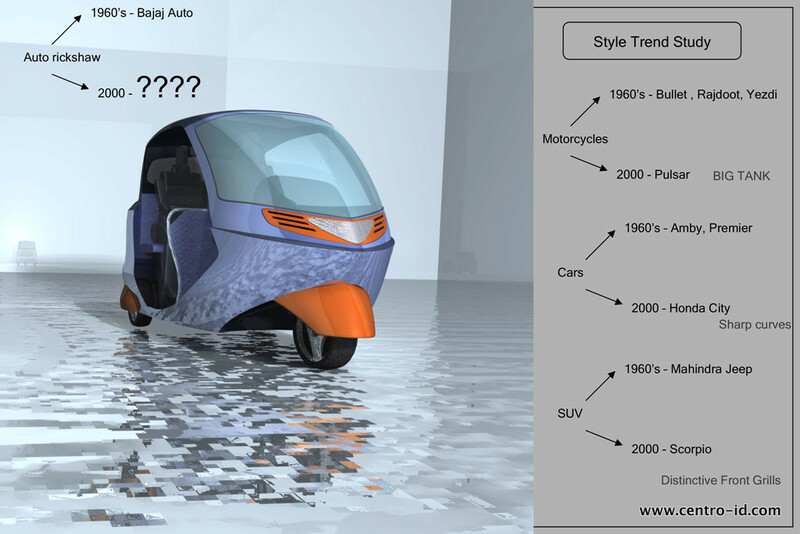 MY AUTO is a conceptual design done at Centroid, to visualise the auto design in line with the latest trends. 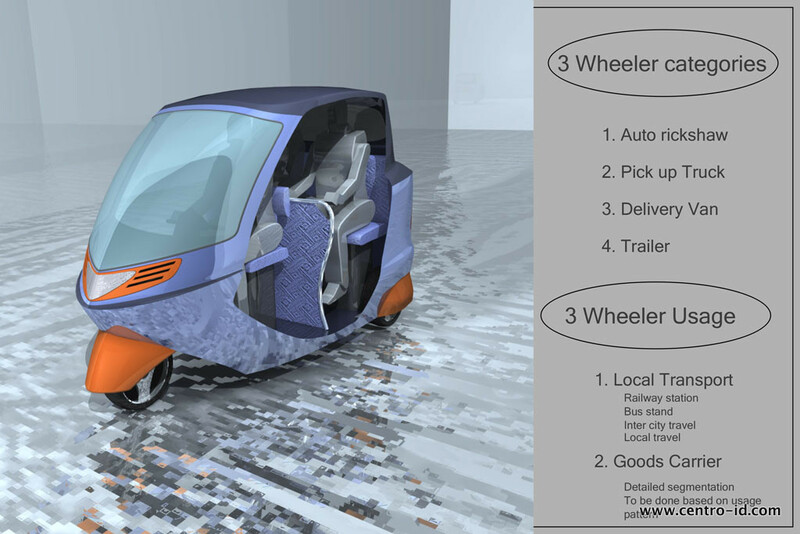 Modular design of the front facia was done to adopt it to different use cases the auto. 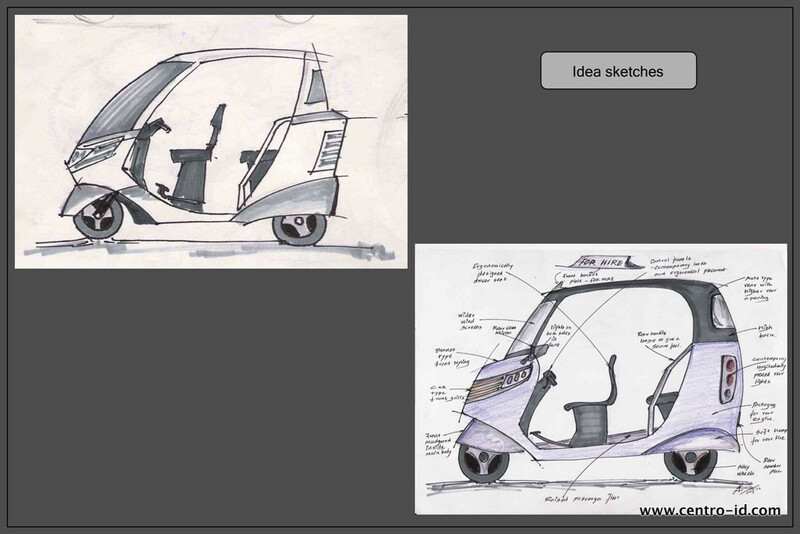 Concept sketches, were done to visualise the auto, quick surface models were made and renderings done to visualise the auto in its scenario. 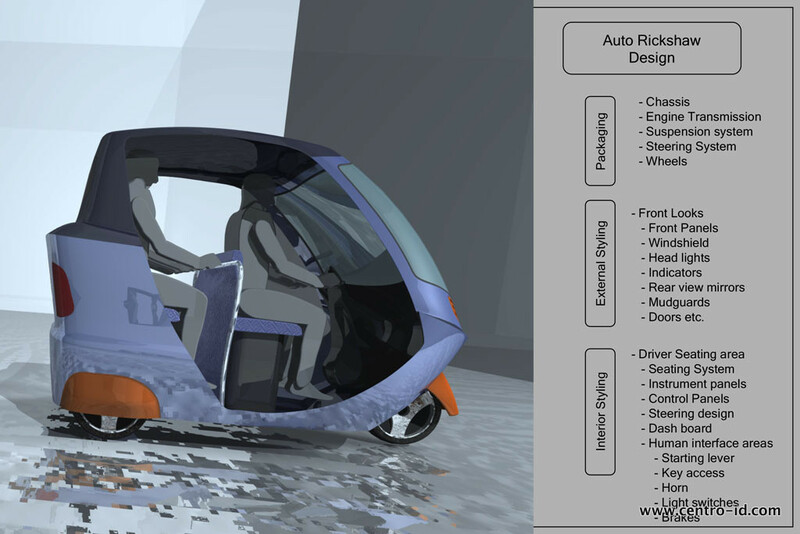 The panel breakup of parts were made, and the bought out components definition of style defined.